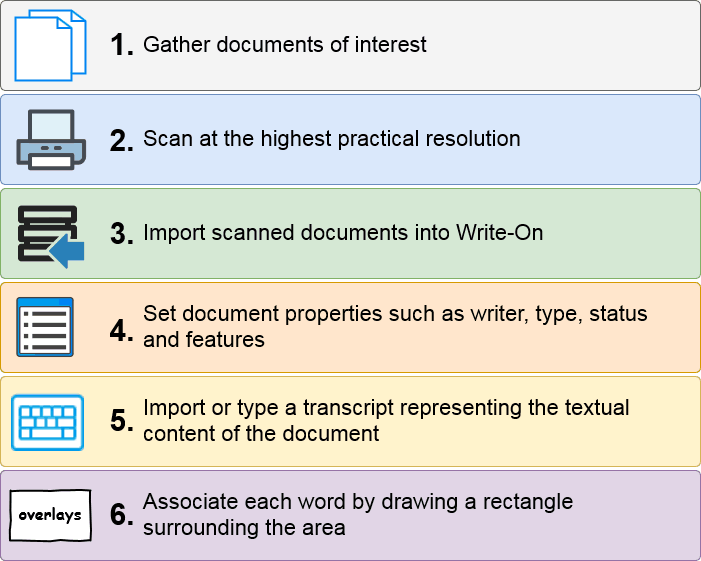 Write-On is not an optical character recognition (OCR) application; it does not attempt to compare documents through metrics. 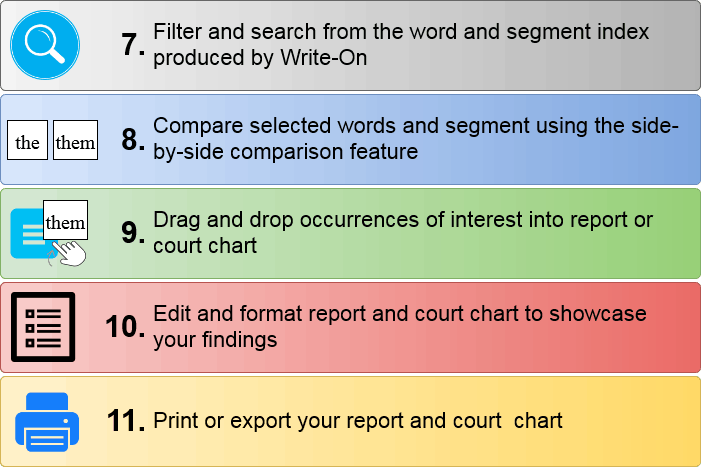 The content of each documents must be typed and associated. Typing and association is considered clerical work and can be performed by anyone with a minimum knowledge of computers, freeing up valuable time and resources for document examination.